After nearly 12 months of Google Penguin there are still a considerable amount of sites suffering from drastic losses in traffic, their once efficient, laser focused anchor text links turned into lead and dragged them to Google Hell. Many sit there in hope that sooner or later the evil penguin will leave , others think they know exactly how to manage the situation when in actual fact they don’t. C. Those Revised and Updated Toxic links will have to be REMOVED by the site webmasters. You know what all this involves. 3 emails with follow-ups! Hopefully, these three emails will be submitted within 3 to 7 days after each other. F. With 10 to 15 days After Google has accepted the Disavow, prepare and submit a Request for Reconsideration (RR) in the proper format and containing the needed supporting info. Then, and only then, is the Project is completed. Obviously I was suppose to submit a proposal to fit this plan of action at a fixed firm price. There are a number of big mistakes and wrong assumptions in this request (which I pointed out to the prospect but to no end). Incoming links from sites of questionable reputation which are not in theme with the linked website will raise more than one eyebrow, HOWEVER, Google Penguin isn’t about this kind of link, it’s all about GOOD LINKS planted in legitimate websites with keyword rich anchor text to manipulate rankings. In most cases toxic links as mentioned herein are not an issue. So a perfectly legitimate link coming from a “healthy” website can (and is) a BAD LINK from the Google Penguin perspective – it will depend on the anchor text, link positon just to mention the most important signals Google will use . In the name of God almighty you (webmaster) shall remove those links! This was by far the mostÂ outrageous assumption. Webmasters are ignoring these requests and asking for money to remove links – this is what’s happening out there. Redemption for activities requesting link removal are discouraging to sayÂ the least with a miserable 20% to 30% in most cases (this is my experience of course) and link removals are very expensive as the process isÂ lengthy and very time consuming. How can an SEO budget for this activity is the number of links has not been identified? 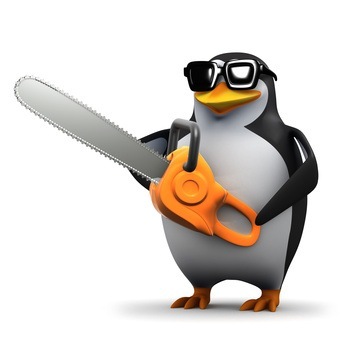 Voice your opinion and Google Penguin cleanup experience – let’s compare notes! Seeking help or advice on how to proceed with a Google Penguin Cleanup? Contact me now!